We started Tween Camp six years ago. We were clear in the first year that it was an experiment. At the time, we all had largish groups of third to fifth graders at the largest churches in the presbytery. We chose to follow Old Testament Joseph in his adventures (Joseph and his sibling issues, Joseph leaves his family, Joseph discovers his gifts, Joseph reunites with his family). It was a nice arc to talking about issues relevant to that age group over three days and two nights. We stayed at the local presbytery camp (although the event is not co-sponsored by the camp). The first year we had 17 tweens and six adults, and we learned a lot. 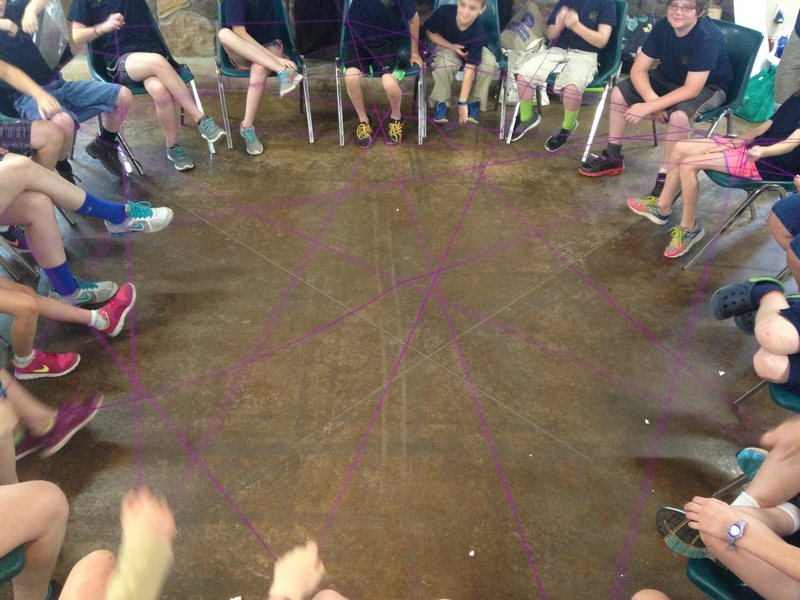 Over the years, here are some things we’ve learned about putting together a tween camp for third, fourth, and fifth graders. Play! Play! Play! Children who begin Tween Camp as strangers must play together more than anything if eventually they are to learn to trust one another. What we didn’t realize when we started was how worn out some of the tweens are with their school friends and family. Those fresh faces were both welcoming and scary. It took games of soccer, gaga ball, Frisbee, etc. before they felt comfortable with their new friends. So we “front load” our camp with lots of outdoor and indoor play time. Use consecutive narrative passages. Following the story of Joseph worked so much better than jumping around to different stories or using passages from the epistles (or even the parables). We found that these tweens are capable of becoming invested in and attached to certain people in the Bible if they hear about them and interact with them repeatedly. Although adults or older youth could find similar themes in scripture passages from all over the Bible, those more nuanced connections weren’t so obvious to the tweens. Over the course of camp, we have four “Bible story” presentations and four “small groups” with activities and discussions to help unpack the stories. We write our own curriculum. Get buy-in from churches with resources. At first, our presbytery had no resources to help sponsor such a camp. However, for our churches with the most money, they could easily purchase supplies or sponsor children or meals at the camp. With just three or four churches “sponsoring” parts of the event, the buy-in from churches increased. Besides,they were more excited about sending their own tweens, and we could make the camp more affordable for families or churches with fewer resources. Schedule, but don’t schedule every moment of the day. Have a plan for what tweens should be doing at all times (i.e. outdoor time, indoor arts and crafts, etc. ), but give the tweens freedom within that structure to explore or try new things. Set out a variety of art supplies. Have multiple outdoor games going at once and allow tweens to move freely among all that is offered. 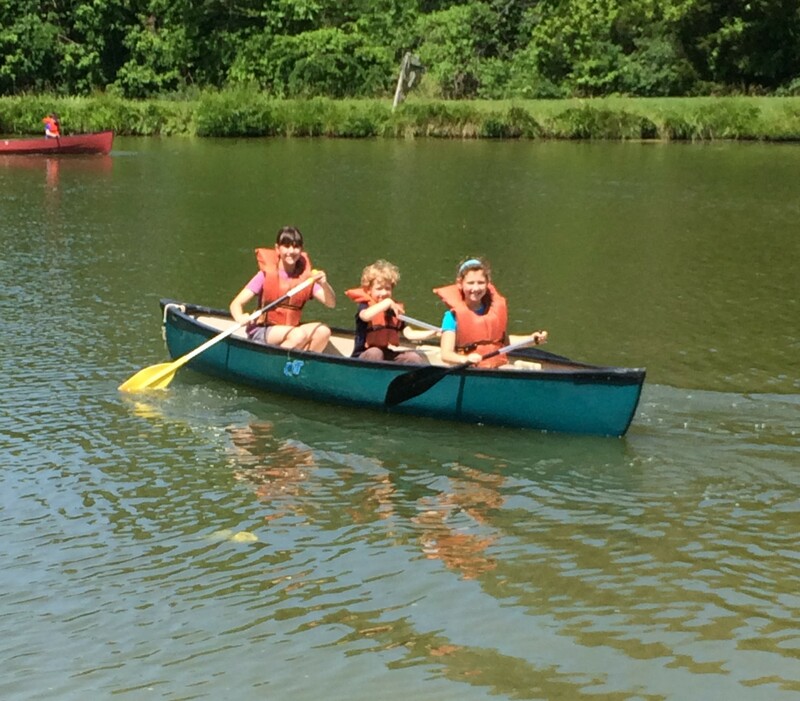 Give the tweens options of hiking or fishing, swimming or canoeing, etc. We’ve found this to be a nice balance of structure and freedom for this age group. Use teen helpers. We have one adult at camp whose responsibility for the week is to chaperone and take care of the high school helpers. We use our high schoolers to lead Bible studies and organize games at recreation time. We train these youth before they begin camp and accompany them in their leadership. We are careful not to give any “care taking” responsibilities for the tweens to them (no enforcing bedtimes or make sure they eat vegetables). In choosing carefully which teens to invite to lead and how to use their gifts, we end up with a group of three to four older youth who connect with the tweens in a significant way. The adults are still the enforcers, but the tweens are the mentors. Sometime those relationships last for several years as well! Expect homesickness. The tweens are still so young that getting homesick, especially after a full day of camp, happens all the time. Although electronics are not allowed at tween camp, we encourage parents and family members to write letters to their campers. Sometimes we can comfort the children, but seeing their parents’ handwriting and reading how loved they are does comfort them. Pick the same three days/two nights every year. Just as certain church events, All Saints Sunday and the Christmas Eve Pageant, come at predictable times, make Tween Camp one of those events. Families with younger siblings begin to plan ahead for that time long before the theme has been announced and registrations have opened. As with any camp, we all come home exhausted, emptied out and refilled all at the same time. And the challenge about Tween events is that the payoffs aren’t immediate. We can’t see the tweens posting all over social media about their new friends and their new appreciation for the connectionalism of the Presbyterian Church. However, years later, we are confident that this experiment was a good one. The teenagers now laugh about things that happened at Tween Camp. I show them pictures on my phone and they tell the others who weren’t there about the tie-dying fiasco with details that I don’t even remember (and I was the one with green feet for a week). We are still learning and still tinkering, but the relationship across church and county lines that begin forming so young are incredibly meaningful and satisfying years later.